Life is full of reasons to celebrate. No matter the occasion, Bridgeport Conference Center will make sure your event makes a memory that lasts a lifetime. We can accommodate any group you like, from a quick crowd of 10 to a full house of 375 needing a banquet hall. Plus, BCC is home to a professional staff of event planners, banquet managers and chefs who have exquisite taste and diverse backgrounds. Our talented team can cater to your special requests, guaranteeing any bumps are smoothed over and your event goes smoothly. Future mother or bride-to-be, your shower will mark a new chapter for your family. Start things off worry free: You bring your loved ones, we supply the rest. From decorations to decadent desserts, Bridgeport Conference Center can handle every detail of your shower. 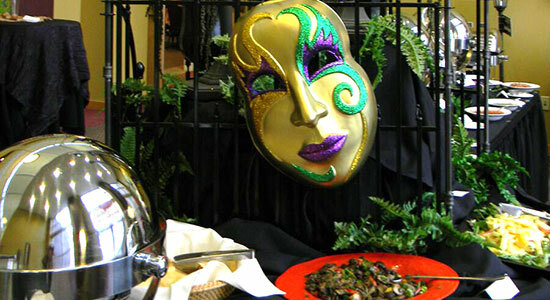 We will work with you to make your event exactly what you envision. Make your fundraising event a success: Community involvement is key, and that’s where we excel. Use Bridgeport Conference Center as a place to connect with the movers and shakers in the area. It’s just the boost you need to hit your fundraising goals. A marriage can be work, but your anniversary doesn’t have to be. Celebrate your longtime love with a party for the ages. Whether you want an intimate gathering or a big bash, Bridgeport Conference Center can cater to any couple’s needs. 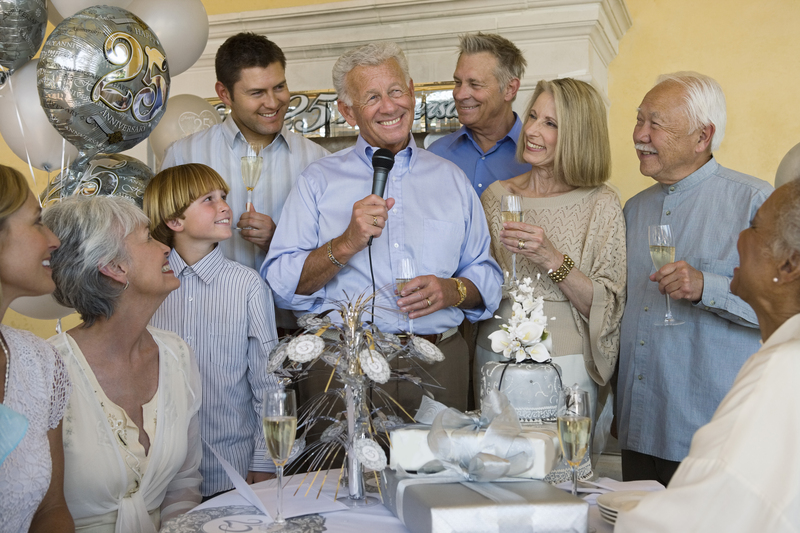 We can provide audio equipment, elegant decor and everything you need for an anniversary to remember. Bringing people together can be a lot of work and a long time coming. Don’t worry about feeding the masses or housing the in-laws. With your reunion at Bridgeport Conference Center, you just need to know your number of guests and everything will be planned accordingly, from food choices to on-site lodging. 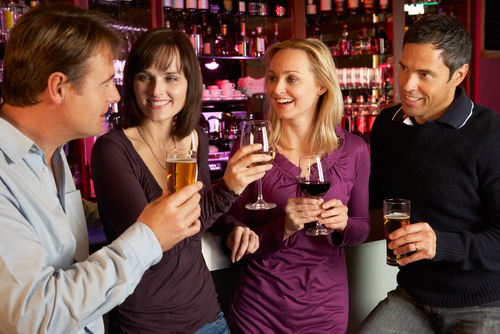 Just kick back and enjoy the company of old friends. Have a big reunion coming up? Don’t know where to start? Our event coordinators serve as your primary source of information and assistance throughout the planning of your event. Our planning services run the gamut, including budgeting. We’ll coordinate everything from room set-up and technology, to recreation and transportation. We will cater to your needs. Call today to find out how the event planners at BCC can make your next reunion or get-together a breeze (and you can take all the credit!). Whether you are planning a wedding reception, a formal dinner, or a family reunion, we will help you create an event that both you and your guests will enjoy. We are experts at setting the tone, no matter what the occasion. Let our expert staff help make the arrangements, so you can focus on making memories. From anniversary parties to family reunions to 4th of July picnics, the Bridgeport Conference Center is the perfect venue for your social event. Our full-service operation provides help with catering, entertainment and the other added touches that convey warmth and hospitality to your guests. We offer only the highest-quality food and beverage services and specialize in creating a wide variety of menus that will fit within your budget. We pride ourselves on our ability to deliver delectable cuisine that is artfully presented and served with gracious efficiency. Fundraisers or banquets can take a lot of work to coordinate. Our expert staff of event planners and banquet managers will help you pull it off with style and efficiency. In addition to tables, chairs, linens, china, silver and glassware, we are pleased to assist with coordination of entertainment, floral arrangements, and other decorating needs to set the perfect tone for your next fundraiser or banquet. The Bridgeport Conference Center isn’t just a banquet hall. We are wired for state-of-the-art multimedia and feature a full line of audio/visual equipment, including free wireless internet access so you can share the moment with those not in attendance.